(Phys.org)—A team of researchers at Purdue University in the U.S. and the University of Amsterdam and Université catholique de Louvain in the Netherlands has isolated the gene responsible for producing a protein that aids the release of volatile chemicals in flowering plants. In their paper published in the journal Science, the team describes how they isolated the gene and showed that it was responsible for producing the carrier protein. Franziska Eberl and Jonathan Gershenzon with the Max Planck Institute for Chemical Ecology offer a Perspective piece on the work done by the team in the same journal issue outlining their findings and the implications the work will likely have on the field of plant research. Everyone knows that many flowers produce chemicals that make them smell nice—such volatile chemicals are produced to attract pollinators and to repel predators. A lot of research has been done on flowers and their attraction elements and much has been learned, Eberl and Gershenzon note. But until now, one piece of the puzzle was missing—how the volatile chemicals make their way out of the cells in which they are made. The prevailing theory has been that they are simply diffused through cell membranes. But recent work by another team showed that for diffusion to be the only means of escape would require such a high concentration of the chemicals involved that it would kill the plant. So the team with this new effort sought a possible transport system. 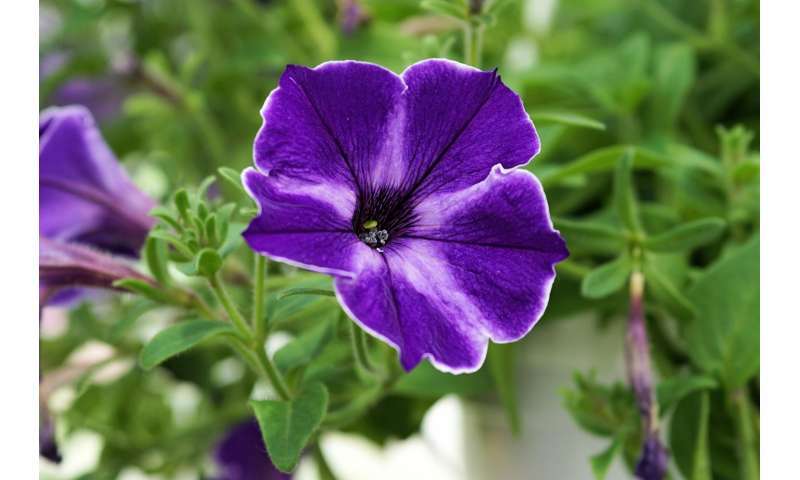 Because they are used as transport mechanisms by plants in other activities, the researchers looked at adenosine 59-triphosphate (ATP)–binding cassette transporters in petunias. More specifically, they looked for transcriptomes for the RNAs that encode them. The team reports that they found one such sequence in the gene PhABCG1. Suspecting that it was responsible for causing the production of proteins that could carry the volatile chemicals through cell membranes, they disabled the gene in some of the flowers and found that emission of the volatile chemicals decreased by approximately 50 percent. At the same time, the concentration of the chemicals remaining in the flowers increased dramatically, proving that the team had solved the mystery of how the volatile chemicals are transported and released. Plants synthesize a diversity of volatile molecules that are important for reproduction and defense, serve as practical products for humans, and influence atmospheric chemistry and climate. Despite progress in deciphering plant volatile biosynthesis, their release from the cell has been poorly understood. The default assumption has been that volatiles passively diffuse out of cells. By characterization of a Petunia hybrida adenosine triphosphate–binding cassette (ABC) transporter, PhABCG1, we demonstrate that passage of volatiles across the plasma membrane relies on active transport. PhABCG1 down-regulation by RNA interference results in decreased emission of volatiles, which accumulate to toxic levels in the plasma membrane. This study provides direct proof of a biologically mediated mechanism of volatile emission.